Horse tram services on the Isle of Man have been scrapped just months before their 140th anniversary. Douglas Council says a plan to fund the scheme with a 30 year loan was not financially viable. The tramway horses will be sent to new homes while the rolling stock will be offered to the island's museums. 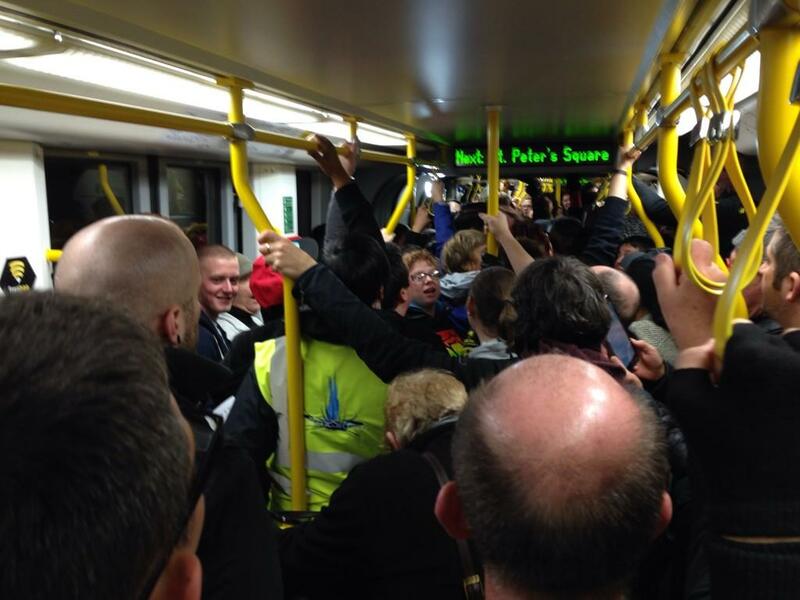 Hundreds of people turned out for a mass sing-along in Manchester against homophobia after two gay men were attacked on a tram - for singing. Manchester Lesbian and Gay Chorus, (MLGC), started out on the trams last night but the song poured out onto the streets after huge numbers turned out. The sing-a-long came after two men, Jean Claude Manseau and Jake Heaton were attacked a fortnight ago. The night culminated in with a mass gathering in Piccadilly Gardens. A man who died after being hit by a Metrolink tram in central Manchester has been identified as 48-year Dave Ball from Whitefield. It happened at the junction of Market Street and High Street at 6.15pm. The man, who has yet to be identified, died in the accident outside Debenhams in Market Place in Manchester city centre at around 6.15pm. Fans trying to get home from Old Trafford after Manchester United's match with Swansea were advised to avoid the city centre in the aftermath of the incident. 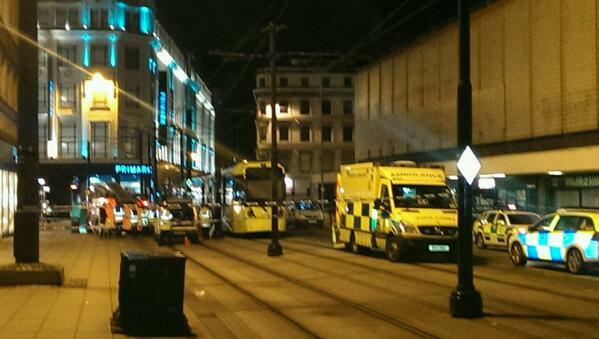 The tram network was temporarily closed while emergency services dealt with the scene.The rail network was working as normal so people were advised to use trains if possible. A new tram service linking Oldham with Manchester started today. It's part of a £1.4 billion d expansion which will make Metrolink the biggest tram network in Britain.